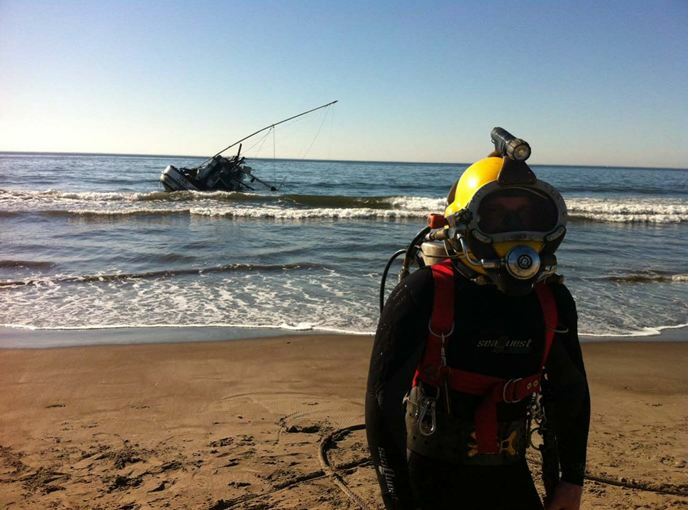 Removal and Disposal of the F/V Tasu - Global Diving & Salvage, Inc. 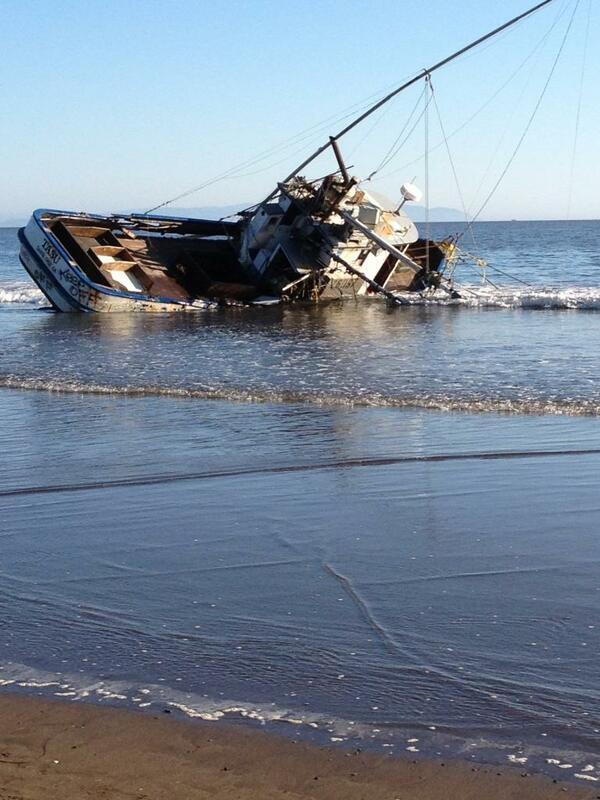 The fishing vessel Tasu became stranded on Stinson Beach on the Northern California Coast in October 2011. The vessel was unable to regain her way, and the resulting wave action pushed the vessel high into the intertidal zone. During the subsequent tidal cycles, the vessel filled up with sand. The County of Marin Office of Emergency Services selected Global through a competitive bid process to remove the Tasu from Stinson Beach. Our technical proposal was selected based on removal method, environmental considerations, pricing, and experience. Global mobilized an excavator, bulldozer, 20 yard waste bins and spill response materials to the site. In order to prevent contamination of the sand, Global excavated a 60’ x 80’ x 2’ pit in the beach uphill from the wreck, lined the pit with an HDPE liner, and backfilled the area with native sand. The excavator demolished the vessel and loaded debris into the 20 yard waste bins, while the bulldozer pulled the full waste bins into the containment pit. Any residual oil in the waste bins was able to safely drain into the containment pit for manual recovery. Global completed the removal of the vessel, removed the pit liner, graded the beach back to original grade, and conducted a shoreline cleanup of debris.